If you don’t remember where you left important documents; or, you pay late fees because you can’t find your bills, give me a call! Your Life Simplified, LLC can help you dig out of your piles of mail and other paperwork that have invaded your home. Together we will sort and organize your bills and papers. 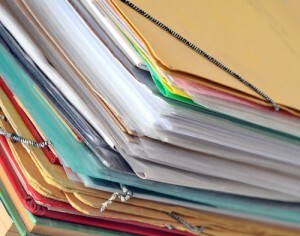 We will set up filing systems that will make it easier to find important papers when you need them. And, last, but not least, we will put a stop to the endless junk mail. After we’re done you will feel pounds lighter! If you feel like your home is a main drop-off point for USPS, call Your Life Simplified, LLC now to organize your paperwork! Less Paper Means More Space!